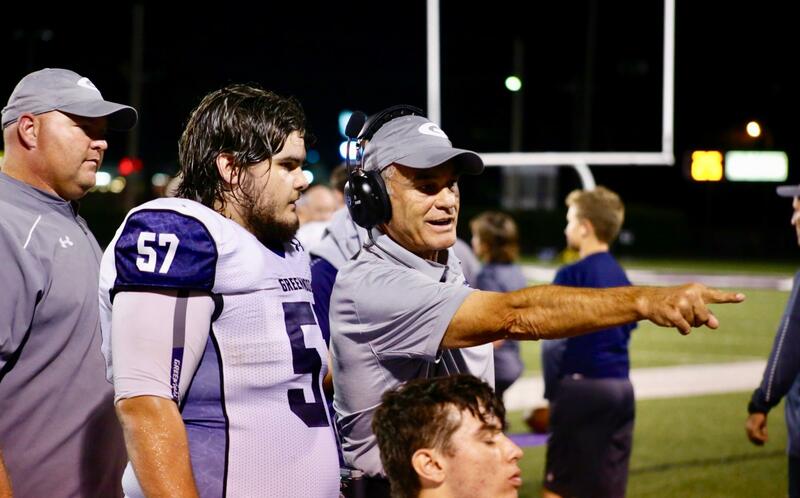 WACO, Texas— Greenwood High School Head Coach Rick Jones has been named the recipient of the 2018 AFCA®/AFCF® Power of Influence Award, presented by TeamSnap. Jones was nominated by the Arkansas Activities Association. He will receive the award, given by the American Football Coaches Association® and the American Football Coaches Foundation®, at the 2019 AFCA Convention in San Antonio, Texas. The Power of Influence award was created as a way for the AFCA® and AFCF® to honor a deserving high school football coach. Coaches who receive this award are recognized for their impact on their team, as well as the legacy they leave with the school and surrounding community. This award is not based on wins and losses; however, it should be noted that coaches of powerful influence have longevity and success. This is the first AFCA award specifically designed to honor a high school coach. Jones played college football at Harding (Ark.) University, earning both a bachelor’s and a master’s degree. He began his coaching career in 1976 and spent two seasons with Harding before becoming the assistant coach at Del City (Okla.) High School in 1978. During his time at Del City, he worked under head coach Henry Manning. In 1983, he became an assistant coach at Putnam City (Okla.) High School and worked under Mike Little. After two seasons in Putnam City, Jones moved on to Edmond North (Okla.) High School as an assistant, then after one season, was elevated to head coach. His record during his four seasons was 41-10, which included leading the team to a state championship. In 1990, Jones became the head coach at Tulsa Union (Okla.) High School. He earned an overall record of 19-7 in his two seasons before taking as assistant coaching position at Missouri State University. After four seasons in college football, Jones retuned to high school football as the head coach at Broken Arrow (Okla.) High School in 1996. In his eight seasons, Jones led Broken Arrow to a 72-32 overall record and the program’s first-ever state championship game appearance in 2002. In 2004, Jones began coaching at Greenwood (Ark.) High School. During the past 14-plus seasons, he has built a dynasty, guiding the team to seven state championships and 10 finals appearances. 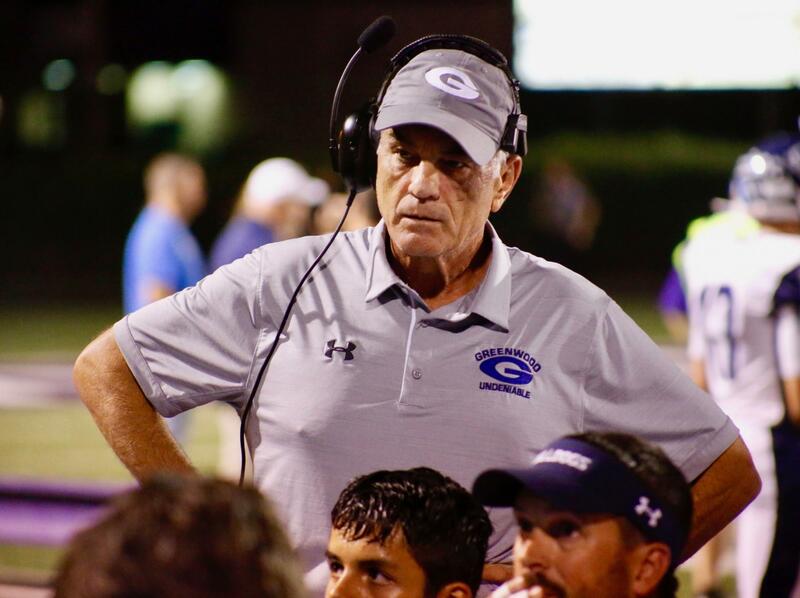 In his 40-plus seasons as a head coach, Jones’ overall record stands at 303-73; his current record at Greenwood stands at 171-24. Jones expects a lot of his players. He reminds them to keep their priorities in order, including family before football. Another motto he carries out is, “we will do it hard, do it right or do it again.” He strives to have his players be the best at everything they do, all the while helping each other get better. Other finalists for this year’s award were: Anthony Amantia, Edward Reed (Nev.) H.S. ; Graham Clark, Dobyns Bennett (Tenn.) H.S. ; Dale Condict, Wagoner (Okla.) H.S. ; James Kelliher, Abington (Mass.) H.S. ; Chris Knudsen, Centennial (Ore.) H.S. ; Dave Nelson, Minnetonka (Minn.) H.S. ; Tim Perrigot, Minico (Idaho) H.S. ; and Glen West, Brenham (Texas) H.S. Past Power of Influence Award winners include: Larry Dippel, Amarillo (Texas) H.S. (2002); John McKissick, Summerville (S.C.) H.S. (2003); Marcus Borden, East Brunswick (N.J.) H.S. (2004); Ron Stolski, Brainerd (Minn.) H.S. (2005); Sid Otton, Tumwater (Wash.) H.S. (2006); Rob Younger, Sweet Home (Ore.) H.S. (2007); George Smith, St. Thomas Aquinas (Fla.) H.S. (2008); Jim Drewry, Booneville (Miss.) H.S. (2009); Brent Steuerwald, Shenendehowa (N.Y.) H.S. (2010); Noel Dean, Lowell (Mich.) H.S. (2011); Andy Lowry, Columbine (Colo.) H.S. (2012); Bob Burt, Cypress (Calif.) H.S. (2013); Ott Hurrle, Scecina Memorial (Ind.) H.S. (2014); Sam Harrell, Fort Worth Christian (Texas) H.S. (2015); Tony DeMatteo, Somers (N.Y.) H.S. (2016) and Allan Trimble, Jenks (Okla.) H.S. (2017). Founded in 2009 and headquartered in Boulder, Colorado, TeamSnap has taken the organization of youth, recreational and competitive sports into the 21st century. Almost 20 million coaches, administrators, players and parents use TeamSnap’s web and smartphone apps to sign up, schedule, communicate and coordinate everything for the team, the club and the season. TeamSnap makes organizing sports as simple as click, tap and go. For more information, visit www.teamsnap.com.